This is the Aelvsborgsbron bridge in Sweden. 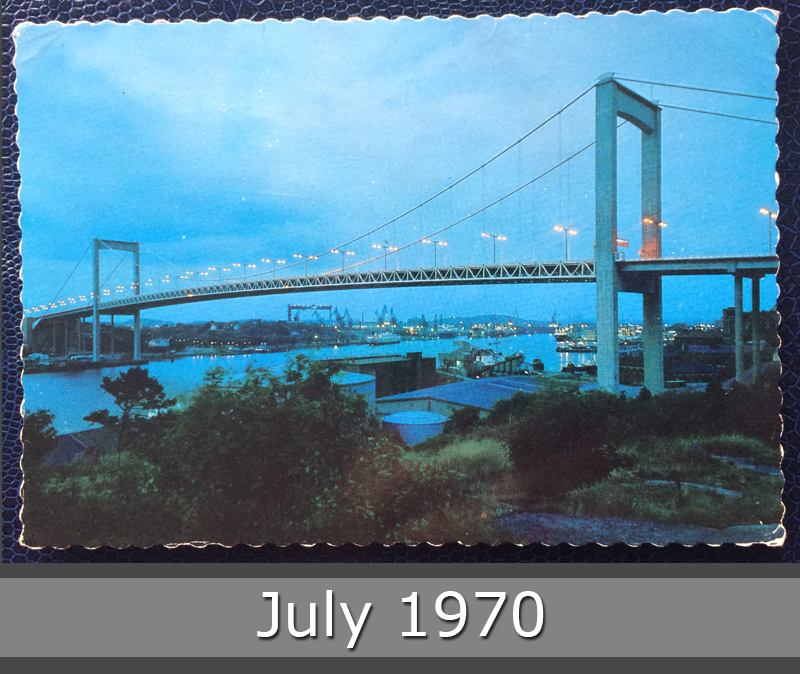 It is a suspension bridge that crosses the Göta älv in the harbor entrance of Gothenburg. It is 933 m long and has a wingspan of 418 m and a headroom of 45 m. The six lanes hang on two 107 m high pylons. 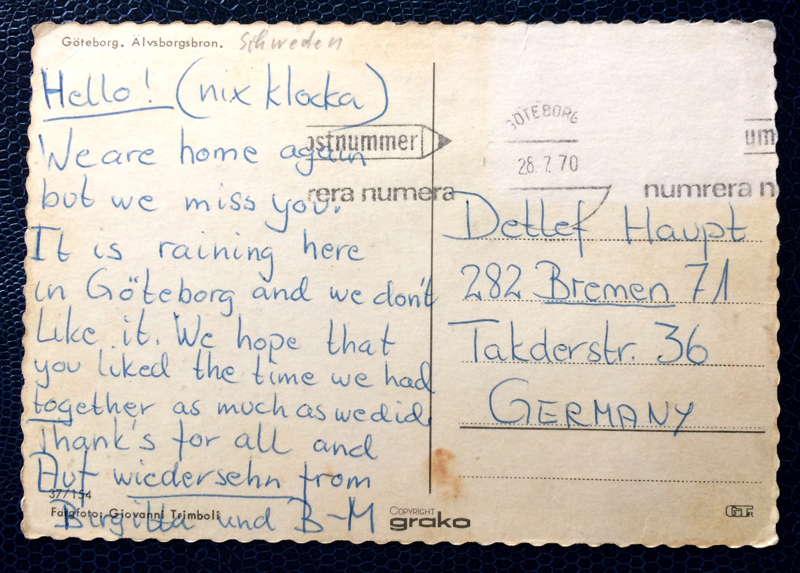 This postcard goes to Bremen in Germany.